Day 2 of sweet treats! In a mixing bowl, stir together peanut butter and butter. Gradually add powdered sugar, stirring until combined. Shape into 1-inch balls; place on waxed paper. Let stand until dry, about 20 minutes, or place in the refrigerator until ready to dip. 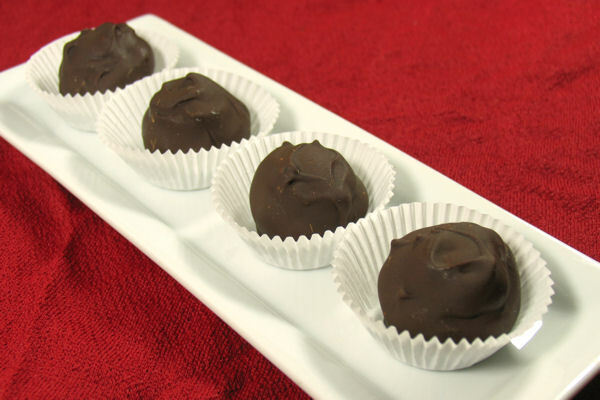 In a double boiler over low heat or in a microwave safe bowl, melt the chocolate chips and vegetable shortening, if using, stirring until smooth; cool slightly. 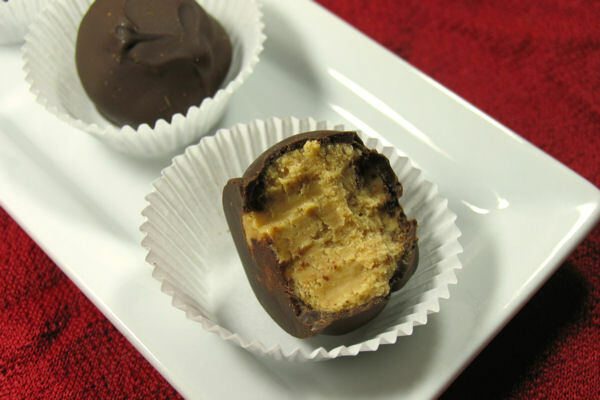 Using a fork, dip peanut butter balls, one at a time, into coating; let excess coating drip off. Place on waxed paper; refrigerate until chocolate coating is firm. Serve at room temperature or straight out of the refrigerator; store tightly covered in refrigerator. What’s not to love about these, eh? I had to count… five.. only 5 ingredients and I have all of them in my kitchen at this very moment.. I could make these and eat every single one! I bet these tasted great. 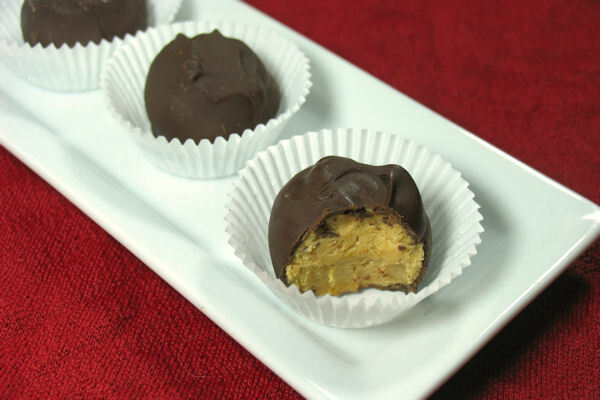 Peanut butter and chocolate sure is a winning combination! Aaah… I reckon I’d try some crunchy peanut butter… you know… to add a bit of crunchy texture…. do you think that’d be possible? Of course! I just prefer mine creamy, but add anything you want to add texture! Hi Stefanie – I saw something similar on another blog recently and thought how incredible they looked. I might try to add some cherries in too if I make them – I think that would make a fabulous addition. Yeah, I think I’d probably like these. A lot. Lucky brother-in-law! Yup. Again I’d be the one that doesn’t like peanut butter and chocolate…but my kids and hubby sure do! 🙂 Mr. N especially. He LOVES peanut butter cups.